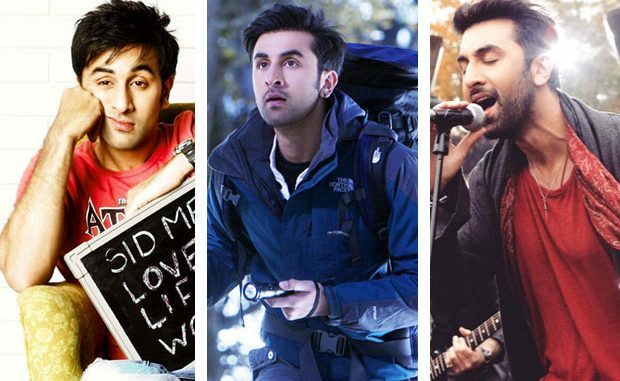 The youthful and enthusiastic combination of Dharma Productions and Ranbir Kapoor has often turned into a nightmare and we are not making this assumption on one single episode. Well, let us remind you that what happened to Ae Dil Hai Mushkil may probably be not surprising for the ones who are aware of the prior experiences. Interestingly, every film that the duo has ever worked on together has often led to protests often triggered and led by politics. Yet again Maharashtra and Mumbai lovers were the first one to stand up against the film and the reason – as trivial as it may sound now – the film had referred to the city as ‘Bombay’ whereas it has been changed to Mumbai. Before Ae Dil Hai Mushkil, Karan Johar has previously already got in a row with MNS leader Raj Thackeray during Wake Up Sid. In fact, MNS had gone a step further by attacking cinema theatres in Mumbai and Pune after the release of the film as a means of protesting against the use of ‘Bombay’. Though several Mumbaikars probably wanted to scream out that ‘Mumbai is a city but Bombay is a feeling’, the protests and the subsequent request for a ban wasn’t a risk the filmmaker was ready to take. So succumbing to pressure then, Karan Johar had allegedly apologized to Raj Thackeray and had offered to put a disclaimer in the film regarding the same. While Kashmir is already a ‘state of conflict’, what made it worse was the film taking away its credit and lending it to someone else. Let’s explain! Remember Arijit Singh’s ‘Suban Allah’ playing in the background as Naina slowly falls in love with Bunny and rediscovering herself amidst the snow-capped mountains and the fun trek. Well, the Manali trip that comprised a major chunk of the film was actually shot in Kashmir. What went worse was that the state did not even get its credit leaving Omar Abdullah extremely miffed with the filmmakers. Whilst he ensured that the filmmakers peacefully get time and locations to shoot, he felt that his efforts were obviously not acknowledged, leave alone appreciated. However, this controversy probably reached an amicable end when it was revealed that the film had acknowledged as well as given credit to the Kashmiri crew as well as their Chief Minister Omar Abdullah in the opening credits. Considering the response he received post the success of Kapoor & Sons, Fawad Khan became Dharma Productions’ blue-eyed boy but little did he realize that it was all going to come crashing down. Post the Uri attacks in Jammu & Kashmir in September there was a major uproar in the country about lending the platform to Pakistani artists. Some political parties like MNS demanded a ban on the artists and thereby also on the film Ae Dil Hai Mushkil which is currently only a week away from its release. The film in question featured Fawad Khan in a supporting role and what followed was a social media outrage on the same. Whilst Bollywood as a fraternity in itself was divided in its decision – one in favour and one against, the film continued to face protests so much so that some MNS workers went on threaten theatre management to refrain from screening the film despite the apology issued by Karan Johar on social media. What followed was a meeting between MNS and producers of ADHM along with producers’ guild members which also had Chief Minister of Maharashtra Devendra Fadnavis intervening and arriving at a compromise. As of now, Karan Johar will have a comparatively smoother release after he agreed for the conditions which include no taking Pakistani artists in his films in the future, a slide dedicated to Uri martyrs and their families at the start of the film as well as a sum of Rs. 5 crore being donated to the Army Welfare fund. Considering the three examples above, we believe that there has been ample of incidents that showcase that though the potent mix of Ranbir Kapoor and Karan Johar does leave an impact when it comes to films, there is no avoiding controversies if the two come together. We hope that their next film Dragon, which is a super-hero drama, directed by Ayan Mukerji, ceases from inculcating any content that can lead to political interference during the release.